For the luxembourgish Presidency of the European Council from 01.07 – 31.12.2015 the Ministry of Culture has commissioned me to design three spaces in the Justus Lipsius building of the Council of Europe in Brussels. 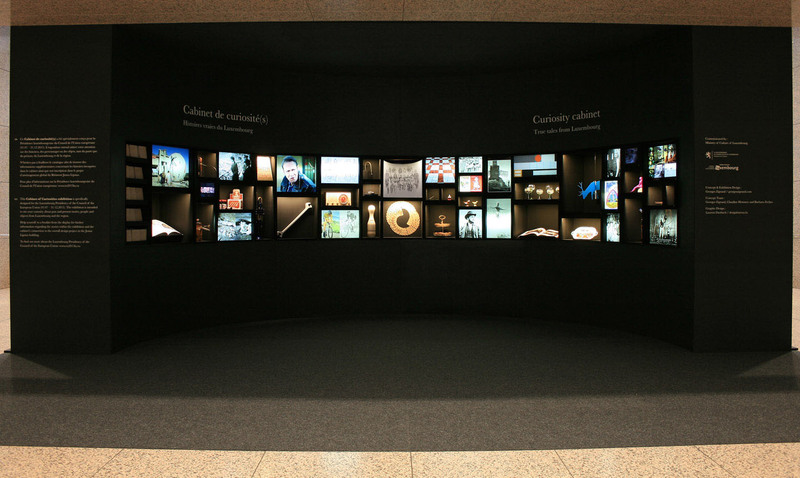 This part of the project consists of an curiosity cabinet made from 45 individual front or back-lit boxes. 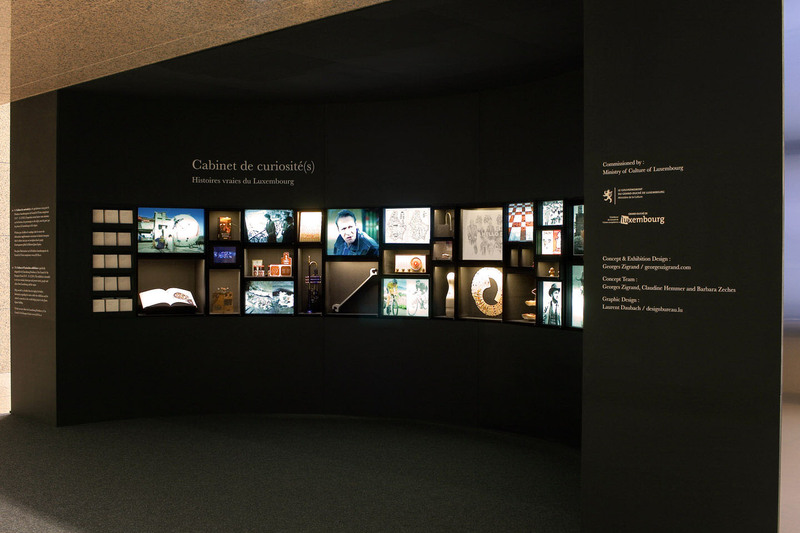 The cabinet shows a more unusual side of luxembougish history & culture, mixing together an apparent random selection of oddities and stories from past and present. One of the aims was to focus on the people (artists, writers, film makers, cooks, engineers & inventors) but also institutions, industries & customs that contribute to the fabric of the country, showing a side that would be little known outside its borders. 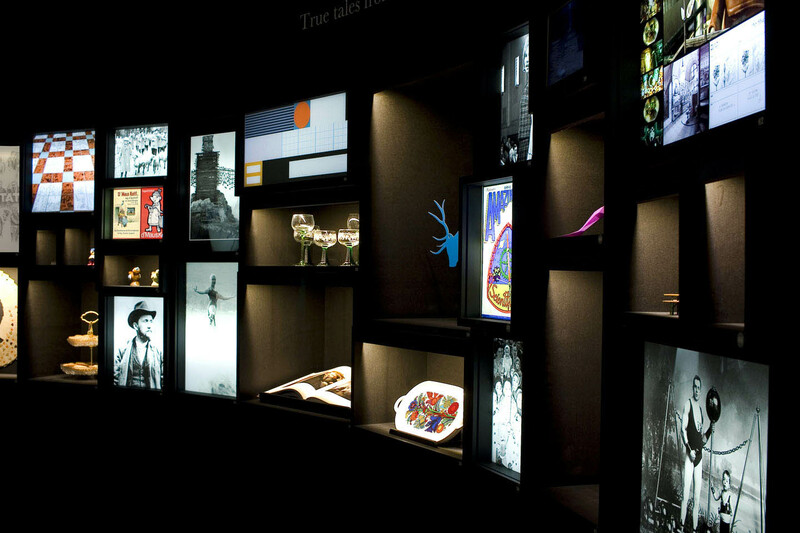 The content has been developed in collaboration with the Ministry of culture and a booklet has also been produced to help the baffled visitors to understand the slightly obscure images & objects. Last but not least, luxembourgish artists Paul Kirps and Filip Markiewicz have also produced specific artworks for the cabinet.